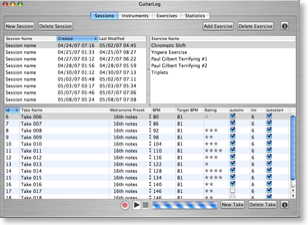 Version 1.1 adds more keyboard shortcuts to streamline workflow and improvements to the BPM auto-incrementing! See the Takes page for more info on keyboard shortcuts. See the Exercises page for more info on BPM auto-incrementing. Simple, effective and unobtrusive. 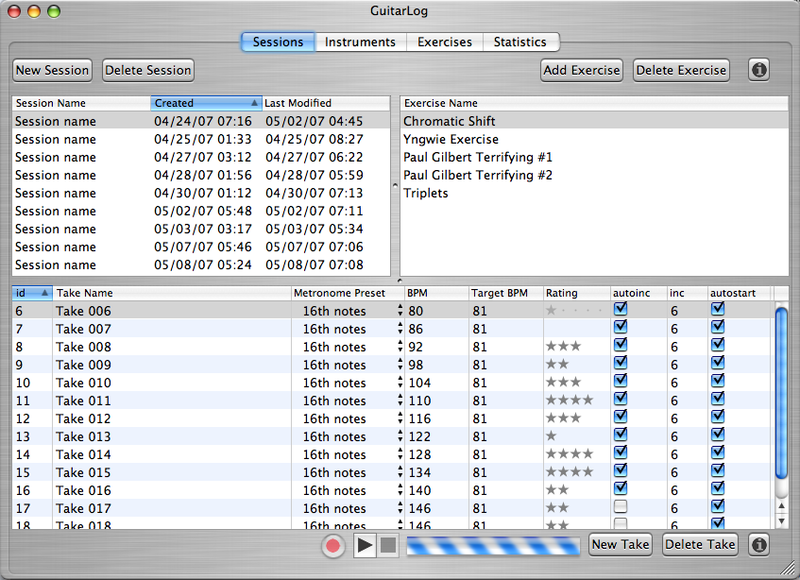 GuitarLog is the place for you to organize your practice sessions and record your progress.